Are you familiar with the show? Mythbusters is a reality show that has been airing on the Discovery Channel for 11 years. Using actual science, the hosts explore popular myths (hence the name) to test the plausibility of rumors, myths, movie scenes, adages, Internet videos and news stories. The science is real, educational, entertaining and they pretty much always blow something up. I watch Search play; he is so methodical as he inspects every gear and lever. Will he be an engineer and fascinated by physics when he grows up? Meanwhile Destroy is always nearby, testing cause and effect via his rambunctious actions. He certainly shows an early affinity for bangs and explosions as well. 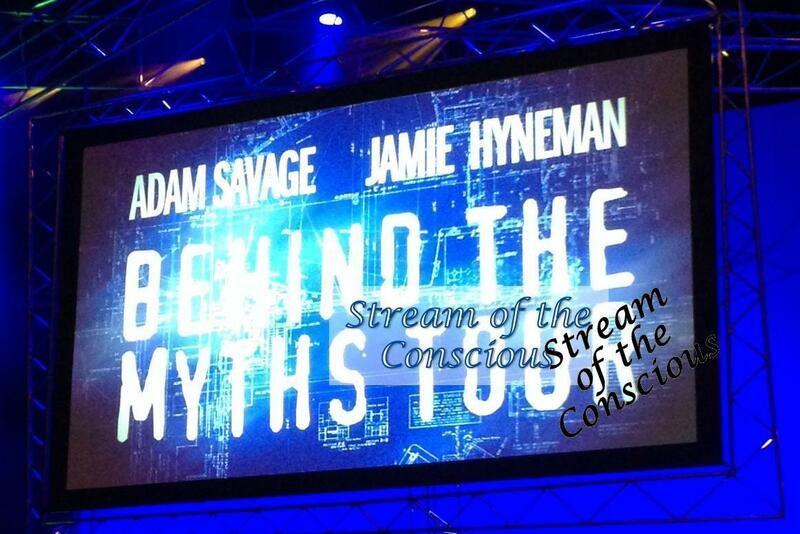 My sons are the perfect 3-year-old foils for the Mythbusting duo of hosts Jamie Hynaman and Adam Savage. 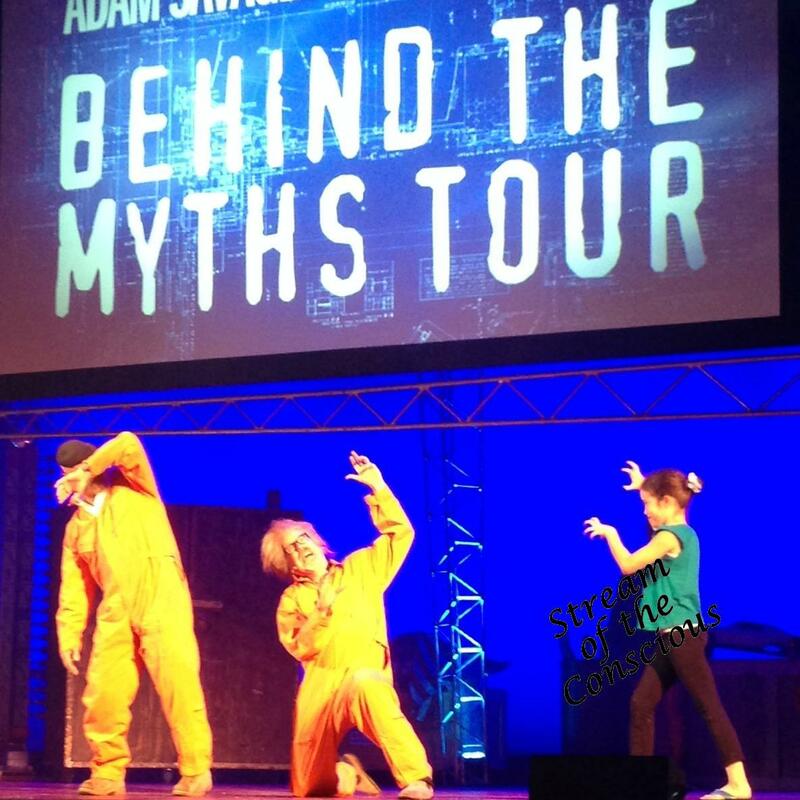 Several months ago, I learned they were going on tour (the actual Mythbusters, not my kids). Although the show was once an absolute staple in the Stream household, it’s fallen by the wayside in recent years. Yet I still multi-task around the house with episodes on in the background, so I was eager to see what the touring show may hold. 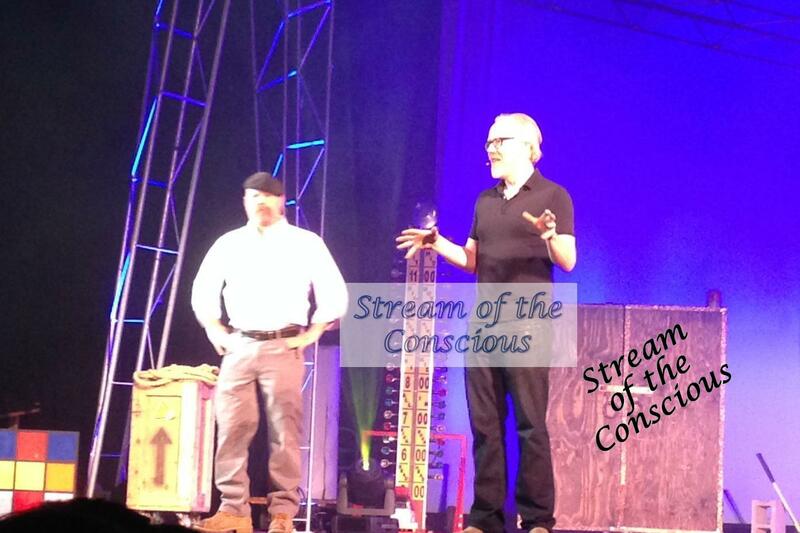 Bouncing around the stage with energy befitting that of a 3-year-old, Adam Savage proved he is a true showman. The show was hilarious. And it was awesome to glean a little insight on how it comes to light. Turns out, science can be fun. As Savage pointed out, humor and play is important. Because if you’re having fun, you might just learn something. Apparently, a joke is a scientific experiment of its own. It is a compilation of critical thinking and questions. The result of crucial components to your question just happens to come out of left field – also known as the punch line. Really, Mythbusters is a scientific Sesame Street for adults. Teaching us how to (not) blow up water heaters since 2002. Brought to you by the letters W T F.
Filed under Current Events, Miscellaneous, Seriously? Love it ! Destined to be a Classic!! !